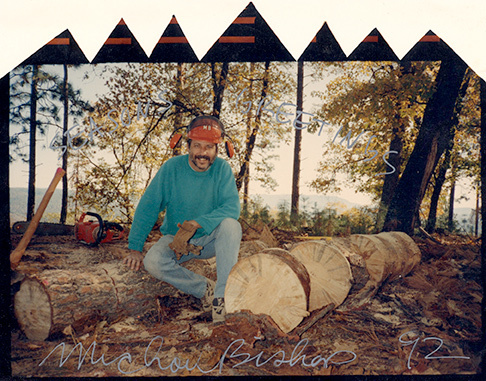 Michael Bishop was born in Palo Alto, California, on September 25, 1946, and died in Sacramento on September 20, 2016, from complications of heart disease. Michael was a gifted artist and photographer who was interested in making photographs that challenged the viewer’s perception, often with a wry sense of humor. He received both his BA and MA in Art from San Francisco State College, in 1970 and 1971, respectively. In the late 1960s Michael was involved with the Visual Dialogue Foundation along with notable photographers Jack Welpott, Judy Dater, and Linda Connor. He was awarded National Endowment for the Arts Fellowships in 1975 and 1978. Michael received a Creative Arts Service grant from the New York State Council on the Arts in 1977. He was a member of Polaroid’s 20 x 24 Visiting Artists Program and was one of the first to use Polaroid’s big 20 x 24-inch camera. His 1979 show at Light Gallery was titled 20” x 24” Polaroids. Light Gallery, the first gallery in New York devoted exclusively to photography, represented Michael. Michael’s work is in many collections, including the Museum of Modern Art (New York); the International Museum of Photography, the George Eastman Museum (formerly the George Eastman House, Rochester, NY); the National Gallery of Canada (Ottawa, Canada); Musee d’Arles (Arles, France); the Center for Creative Photography (Tucson, AZ); the Museum of Contemporary Art (Los Angeles); Syracuse University; the Art Institute of Chicago; the Smithsonian American Art Museum (Washington, DC); Harvard University’s Fogg Museum (Cambridge, MA); the Museum of Modern Art (San Francisco); Visual Studies Workshop (Rochester, NY), and many more. Michael had numerous solo shows, including at Focus Gallery, San Francisco (1971); the School of the Art Institute of Chicago (1971); Image Works, Cambridge, MA (1974); Light Gallery, New York City (1973, 1975, 1976, 1977, 1978, 1980); and Bard College, Annandale-on-Hudson, NY (1979). He had a traveling show and a resulting book, Michael Bishop, both produced by the Chicago Center for Contemporary Photography (1979). 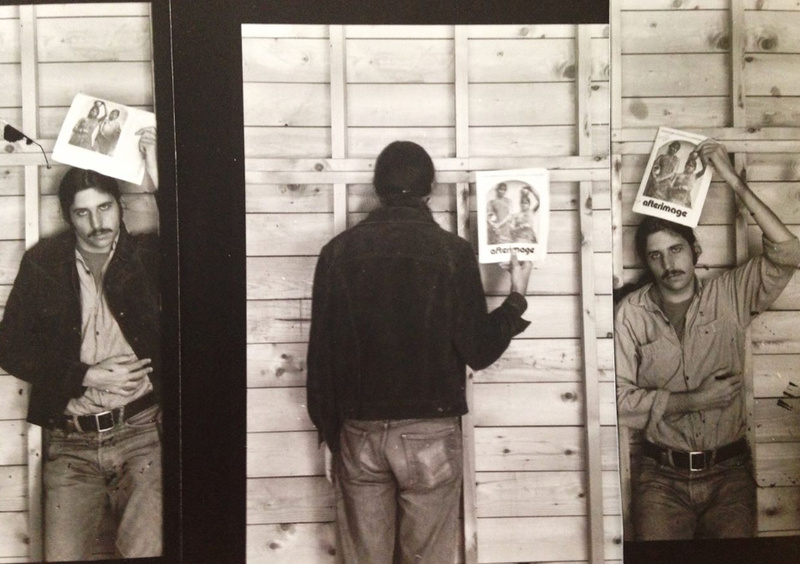 The show traveled to the Center for Creative Photography, Tucson, AZ (1979); Friends of Photography, Carmel, CA (1979); and the International Center for Photography, New York City (1980). 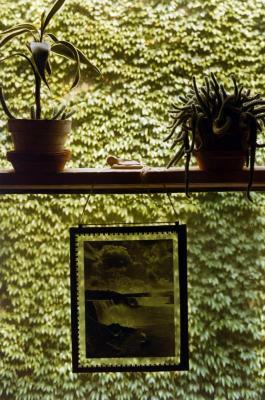 Michael’s work was exhibited in many group exhibitions across the country, including one at the Howard Greenberg Gallery, New York City, in 2004, Six from the Seventies: The Last Years of Modern Photography. With a sparkle in his eye, Michael taught photography and later, Photoshop and computer science. Between 1971 and 1983, his jokes filled photography classrooms at UC Berkeley Extension, San Francisco Art Institute, UCLA, Visual Studies Workshop, Rochester Institute of Technology, and MIT. In 1983, Michael moved home to the foothills of the Sierras in northern California. He continued teaching as a visiting professor and sabbatical substitute at the San Francisco Art Institute, Humboldt State University, the University of Hawaii, College of the Redwoods, UC Riverside, and other colleges. Michael was interested in manipulating images. Beginning in the late 1960s, he used camera and darkroom techniques and many other creative ways to alter “straight photographs.” He began using Photoshop in the early 1990s. He often referred to himself as a “digital artist.” Today, a digital artist is something we have come to understand; then, he was way ahead of his time. He and three other friends went in on a very expensive Apple computer to learn the new technology. Between 1994 and 2004 Michael taught Photoshop and computer science at Cosumnes River College in Sacramento. After 2004, Michael retired from teaching and spent time with friends in the Gold Country, Humboldt County, and Santa Cruz. Michael loved Zydeco music and dancing. He expanded his cooking skills and produced many wonderful meals in his small kitchen. He was very helpful—anytime a friend needed help with a household project, Michael was there to lend a hand. Michael lived in the foothills of the Sierras for thirty-three years. He loved living there in the blue and gold beauty of those hills. An extensive archive and study collection will be preserved at Visual Studies Workshop. Smaller selected bodies of Michael’s photographic work will be welcomed at other major museums and university collections.